Urban and trendy rectangular shape with a young twist thanks to the GG interlocking metal sticker logos on the front. 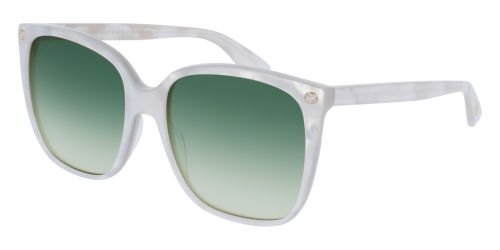 Style characterized by the lightness of the acetate both on front and temple. Gucci iconic bee hot foil printing in the end tip. DESCRIPTION Urban and trendy rectangular shape with a young twist thanks to the GG interlocking metal sticker logos on the front. 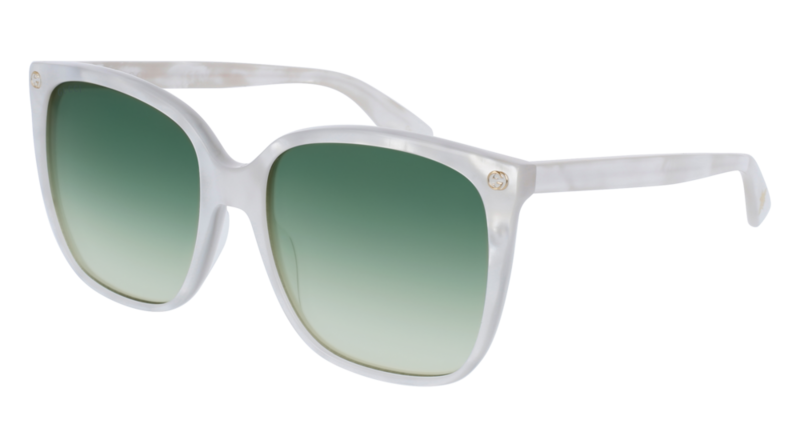 Style characterized by the lightness of the acetate both on front and temple. Gucci iconic bee hot foil printing in the end tip.